We can supply Lay Flat Tubing (LFT), Centre Fold Sheeting (CFS), Gusseted Tubing (GLFT), Single Wound Sheeting (SWS) and Double Wound Sheeting (DWS). 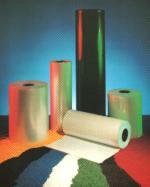 We produce either High or Low Slip material for various applications. All films can be supplied clear or coloured to match customer’s requirements. Various other additives such as anti-blocking or anti-static agents can be added if requested. LFT and GLFT can be printed with a simple “Safety Warning” logo. 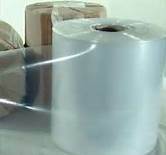 We can also supply bags on a roll with a straight seal perforated to tear-off at any length. This can be produced in either LFT or GLFT form and printed with a simple warning notice Film for use on form film and seal plus flow wrapping of such items as magazines or card inserts can be produced. These are all high slip SWS or CFS. The film we supply (unless stated otherwise) is made from 100% prime grade material and can be recycled accordingly. We do produce a limited amount of films produced from reprocessed material but this is clearly sold as regranulated material and all paperwork marked accordingly. This has a minimum thickness of 65microns and is mainly only produced as LFT. The full width range of films we can supply is as per the following table. SWS film below 150mm can be supplied, but this needs to be slit down separately and is costed accordingly.